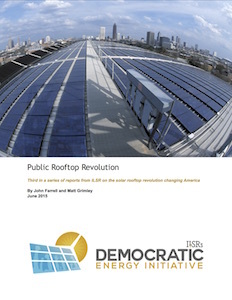 In Public Rooftop Revolution, ILSR estimates that mid-sized cities could install as much as 5,000 megawatts of solar—as much as one-quarter of all solar installed in the U.S. to date—on municipal property, with little to no upfront cash. Solar energy is in the news every day– and many cities want the growing solar market to bring in jobs and economic development. But until now, no one has examined how cities themselves can cash in, by installing solar on their own buildings. 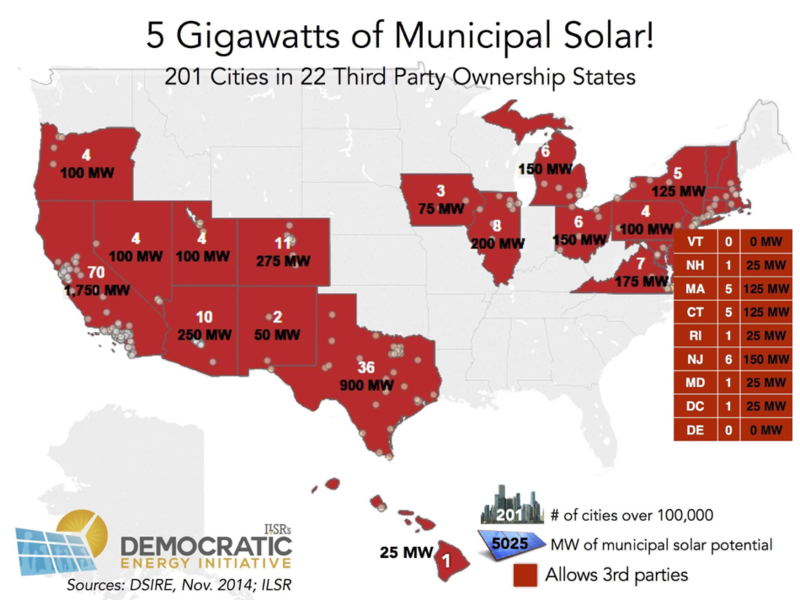 In a report released today, the Institute for Local Self-Reliance (ILSR) shares how five U.S. cities have leveraged solar to cut municipal energy bills and pollution, and how other city leaders could join in the solar insurgency. The report details the ways in which five featured cities have overcome the barriers to solar adoption on public property and the substantial benefits of their solar activities. It also highlights remaining barriers, such as state policies. Follow this link to read the full report. Please let me know if I can put you in contact with the report’s author, John Farrell. John has been frequently interviewed by National Public Radio and the New York Times, and his work is featured in The Atlantic, Fast Company, BizJournals, and other major news outlets. The advent of affordable solar energy provides cities a remarkable opportunity to use the rooftops of thousands of municipal buildings to reduce operating costs, reduce pollution, and boost the local economy. But cities face barriers, from limited access to federal tax incentives to restrictive state policies. This report tells the story of five top solar cities, and identifies opportunities to overcome the barriers that have slowed solar’s adoption on public property. 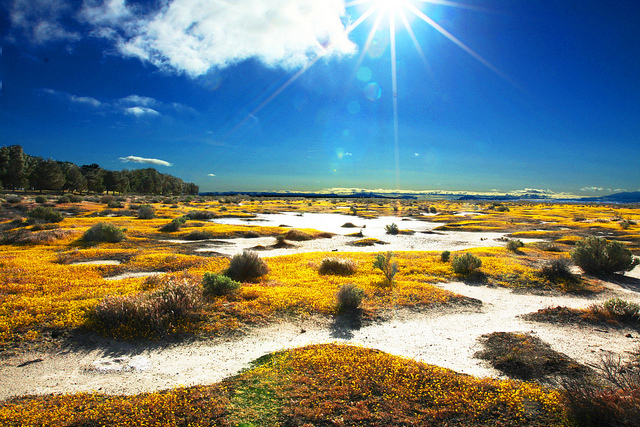 Lancaster, CA, already generates enough solar energy, with 9 MW, to power over half its city’s peak energy demand and save the municipal budget approximately $450,000 per year. Denver has become a municipal solar leader with innovative financing strategies and land at its city-owned airport. New Bedford, MA, is saving $6 to $7 million per year on electricity through its 16 MW of solar installations on municipal buildings, which is 2.5% of the entire city budget. Even with cheap grid power and limited state policy support, this city has made significant strides in installing solar for municipal use with a unique leasing arrangement. In the face of restrictive state policy and modest sunshine, this Midwest town still managed to put solar on 59 city buildings.